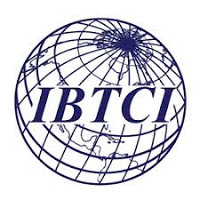 Overview: IBTCI is seeking a Local Assessment Specialist for the United States Department of Agriculture (USDA) to advise a team conducting a Risk and Resilience Capacity Assessment in Tanzania. The Risk and Resilience Capacity Assessment (will provide a comprehensive and consolidated risk and resilience assessment for the region of Rukwa in Tanzania, to inform the development of a new USG framework to reduce food insecurity, poverty, and malnutrition in Rukwa. • This position does not authorize/ require the consultant to directly communicate with IBTCI Client. • This position does not authorize/ require the consultant to have decision making authority on final work product. • While working on an open recruitment with IBTCI, the consultant shall not work on that same recruitment opportunity with any other organization. • Master’s degree in Monitoring & Evaluation, Economics or a related field. • 7-10 years working experience in international development programming on poverty reduction, agriculture, nutrition, vulnerability and complex risk environment, governance, women’s empowerment, or related fields. • Internationally recognized specialist and a leading member of the resilience measurement community of practice.